Available for the first time in a decade, the book that launched a $5 billion lawsuit - with a new introduction by the author, in which O'Brien reflects on the recent wave of TrumpMania. This entertaining look inside the world of Donald Trump is chock-full of rip-roaring anecdotes, jaw-dropping quotes, and rigorous research into the business deals, political antics, curious relationships, and complex background of the leading Republican presidential candidate. 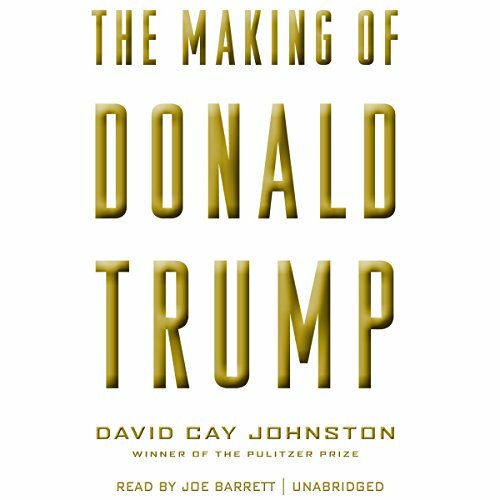 The culmination of nearly 30 years of reporting on Donald Trump, Pulitzer Prize-winning investigative reporter David Cay Johnston takes a revealingly close look at the mogul's rise to power and prominence. Covering the long arc of Trump's career, Johnston tells the full story of how a boy from a quiet section of Queens, New York, would become an entirely new and complex breed of public figure. Trump is a man of great media savvy, entrepreneurial spirit, and political clout. Yet, his career has been plagued by legal troubles and mounting controversy. From the origins of his family's real estate fortune to his own too-big-to-fail business empire; from his education and early career to his whirlwind presidential bid, The Making of Donald Trump provides the fullest picture yet of Trump's extraordinary ascendency. Love him or hate him, Trump's massive influence is undeniable, and figures as diverse as Woody Guthrie (who wrote a scathing song about Trump's father) and Red Scare prosecutor Roy Cohn, mob bosses and high rollers, as well as the average American voter, have all been pulled into his orbit. 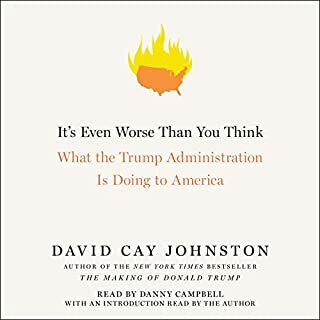 Drawing on decades of interviews, financial records, court documents, and public statements, David Cay Johnston, who has covered Trump more closely than any other journalist working today, gives us the most in-depth look yet at the man who would be president. ©2016 David Cay Johnston (P)2016 Blackstone Audio, Inc.
No wasted ink on these pages. They barely read with more continuity than a bullet list, which isn't necessarily a bad thing. The details that are present are useful, and paint a disturbing picture of the man who would be president. Would you listen to The Making of Donald Trump again? Why? I could see coming back to this book as the Pres-Elect works his way through his journey as the 45th. It's a challenge to fully believe some of the outlandish behavior highlighted in this book, it truly does seem fictional but his behavior during the campaign makes one wonder what the next 4 years will be like. This turned out to be a good book for a 5.5 hour drive, not a snooze fest but certainly a question generator for someone looking for more information on a substantially controversial political figure. If you are interested about Donald Trump, I would recommend first reading The Truth about Trump. 85% of this book's content is contained in that book and is properly put in context. 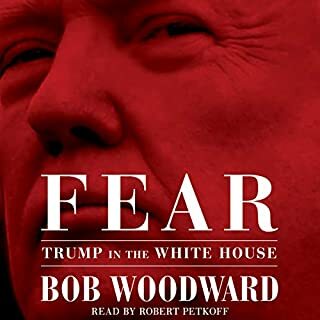 I listened to the author of the Making of Trump on a Point of Inquiry podcast, and I was very impressed and I couldn't wait to buy this book. This book has some good content and it's narrative of the Japanese Whale is absolutely excellent. 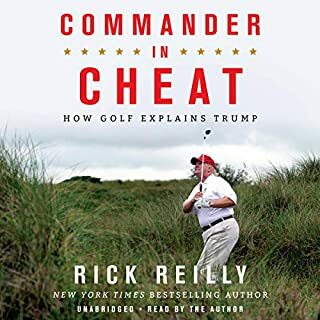 However, it looks like this book was rapidly put together and it comes across as a series of disconnected vignettes which is more of an indictment of Trump and less of a narrative or explanation of why he behaves the way he does. I think if the author spent more time on this book it could have been an excellent book. That being said, I do realize the author did want to get this book out before the November election. It told everything I knew to be true of Trump and then some. What a dispicable human being. And, he's our president. Sad!! I never thought this country could sink so low. Timely message. I would have thought it was written a month ago. SUPERB!! Well written and very factual. This author did his homework. It's as if he lived with Donald for years because he knows him so well. much of what he stated about Donald still holds true til today. A crook and liar just conned half of Americans! If you could sum up The Making of Donald Trump in three words, what would they be? Excellent detailed exposure of a con man. The writer of this book is my favorite character, because he spent 30 years collecting data and investigating Donald Trumps . What a horrible man. He was raised in the culture of "we have, and we don't care that you don't." 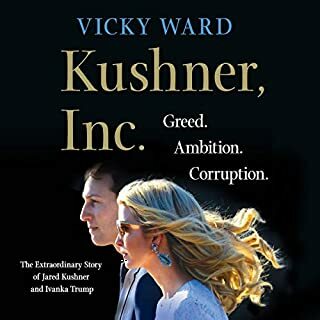 His father's blatant racism, and Donald's ties to the mafia, the drug trade, and high crime, were so apparent - but the agencies that are put in place to stop the likes of his family and friends, absolutely looked the other way. Johnston's decades long research displays the facts, even though when he started I'm sure it never entered his mind that Donald, with all his arrogance, flippant and abusive attitude toward everyone, , as well as his dangerous temperament, would make it to the precipice of the presidency. A great documented case against Trump! David Cay Johnston has done a great service to all of us who care deeply about our nation and do not want a con man as our president! Trump: as phony as 3 dollar bill. Narration: comfortably paced; deep voice accentuates gravity of criticisms. Content: data based, highly critical description of Trump's personality, inclusive of carefully self-crafted narcissism and panoply of disreputable business practices leaving trusted partners high and dry. Other loathsome engrained proclivities are blaming others for his mistakes; conspicuous, undeserved self-promotion; vindictiveness; both mal- and misfeasance; and mendaciousness. What a peace of work is this abominable, ignorant, incompetent reprobate. Author is an award winning journalist who has over the years wrote many articles exposing him as the very nasty person many of us justfiably loath. In a nut shell, this an important, indictment of Trump's incompetence, boorishness, Important because facts cited herein enables credible public censoring of our countries most serious liability. Evaluation: highly recommended delineation and analysis of Trump's personality, proclivities, warped values, and disrespectful, counterproductive impulsiveness. What did you like most about The Making of Donald Trump? It summarises most of Trump's career highlights- giving evidence for each accusation. It talks about his links with crime, Trump casino failures, memory lapses related to court cases, his 2nd father Roy Cone (prosecutor in McCarthy age), his real family, how he nearly led to death of his nephew's infant by attempting to take away his critical life insurance while in hospital, his bankruptcies, his lies bragging about relations with women e.g. Carla Bruni, the way he acted like his own publicist, and more. Which character – as performed by Joe Barrett – was your favourite? The part where while his nephew's infant son was in hospital requiring critical care, and the fact that Trump who tried to cut his nephew out of the family inheritance (and thereby their medical insurance) would have led to a death sentence to the child. At that point I realised Donald was a villain, and the fact he is going to be president should frighten all. This book is easy listening, and it summarises all the evidence against the competence of Donald Trump. The author is an investigative report who has won a Pullitzer Prize. In some places I feel he had been a bit overcritical of Donald e.g. Trump says he made 6 million in fundraising for his campaign, when actually he got 5 million - well ok it was wrong, but not way off, and fundraisers knows that not every pledge made gets paid. 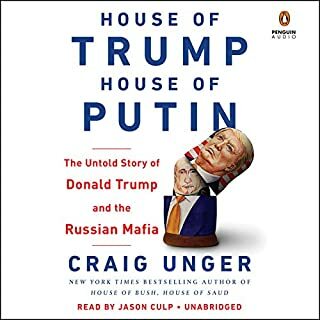 It is a good book for journalists to get a baseline of cases to look, and then expand their research further to take on Trump, and prepare for his inevitable impeachment. I have listened to the following books on Trump, and hopefully this will guide u into what u would like to listen to. Art of Deal by Trump: A first hand account on how Donald Trump's working week is like - its like a journal - but please listen with a critical ear - Trump is known to over exaggerate and flat out lie. Not much in learning the tricks and trades of Trump. Trumped by Jack O'Connell: A former disgruntled executive of Trump provides his insight and his interactions with Trump while working at Trump Plaza casino. Again listen with a critical ear, but an easy listen, and a more gossipy/Tabloid approach to Trump - it talks about Trump's attitude, behaviour, lack of concentration, affairs with Maples/other women etc. This Book: An evidence based presentation of Trump and his business dealings, over the past years. I would listen to this book, if u wish to know the clear evidence against Trump, being more objective than the other two. It boasts interviews with many people who have directly interacted with Trump. You always approach books like this with some reservation as political exposè always have an agenda. This tale of essentially a mobster who is running for President just gives you case after case of law suits and dealings which are all a matter of public record. If you can vote in America listen to this book. People need to know and make up their minds with all the facts. 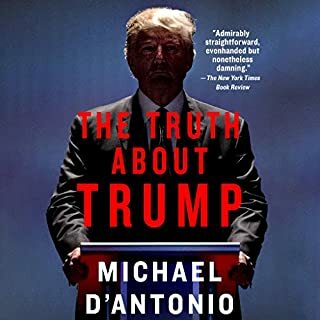 If you really want to know what kind of a lying, cheating, swindling, fraudulent, no-good son of a bum is now the president of the USA then you must read this book. Confirms our deepest concerns about Trump. Having observed the US Election in 2016 with a combination of sadness and horror, I wanted more facts on Trump. My gut instincts were that he was a 'snake oil' salesman saying whatever his constituents wanted to hear as well as an outrageous narcissist completely consumed by himself and what is best for him. This book helps to put proper investigated information on the table and not 'fake news' or alternative facts that has been so prevalent these last few months. It will confirm your fears and we will continue to ask how such a great country as the USA has voted in such a con artist. There are many number descriptions which can be confusing. So a second listening might make the most of them all. Trump's affiliations with the underworld is more extensive than previously thought; no wonder that he now has affiliation with Russia's banks. This angle was not well covered in this investigation, and we need to know more. Follow the money. Trump is not the man who can take the USA to a better place because he doesn't understand politics. He is in real estate with little knowledge of history. This book does reveal a lot about that man's character, but it is just a beginning. More could have been said and this is why I gave a 4 not a 5 on the story. Worth it in any case.